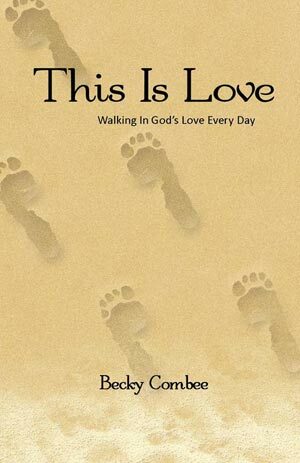 My mother, Becky Combee, has generously decided to make her book available as a free Kindle download for two days. 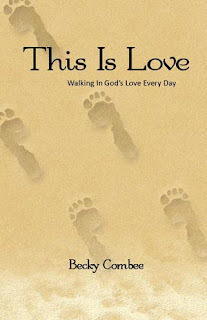 This book is the culmination of five years of hard work for she and I. I believe its message is needed today in the body of Christ because walking in God's love brings peace and freedom. Included in the back of the book are her personal teaching outlines. And you won't want to miss my dad's illustrations. Reverend Becky Combee has been teaching Bible principles in home and church groups for over 30 years. Under the ministry of Pastor Reggie Scarborough, Becky was ordained in 1996. She ministers the Word of God in her local church, across the United States, and around the world. She is known for her Bible knowledge, unique humor, and artistic sketches. Becky and Wayne Combee are committed to the Word of God as truth and the Holy Spirit as God who reveals truth. It is their heart's desire to clearly define the Word of God to all who will hear in our world. God’s command to “love one another” is the heart of the Gospel message, the central theme of our obedience to God, our Father, and Jesus Christ, our Lord. The foundation of this love is the sacrifice of Jesus Christ. Becky Combee examines God’s magnificent love from the manifestation of its grandeur to the glorious victory of faithful Christians. Her detailed explanations are clothed in Scripture and completely outlined for other teachers.